Enjoy live, foot-stomping tunes on the outdoor terrace of this popular pub from 8:00 PM to 12:30 AM daily. 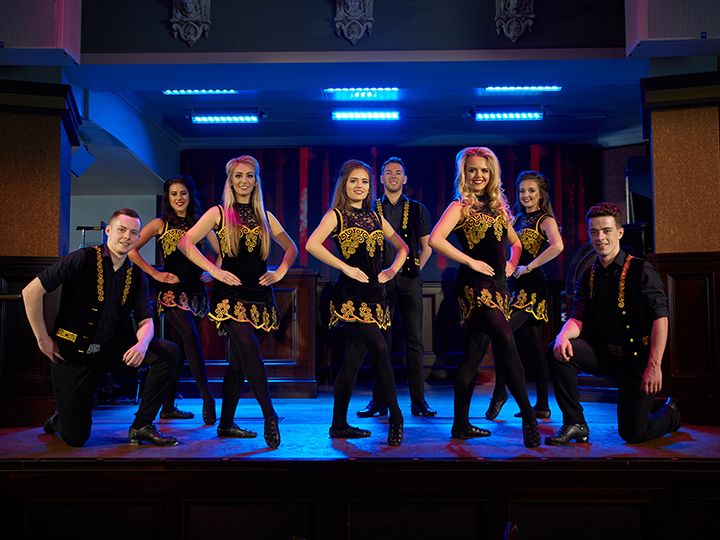 Don’t miss this 90-minute live spectacle of Irish music and dance featuring a talented mix of performers. In addition to new numbers by 16 musicians and 8 dancers, this year’s show features a series of vibrant backdrop projections, helping to tell the visual stories of Ireland’s folklore-laden culture spanning thousands of years.